This beautifully-handcrafted metal barn star is so big that it almost has its own gravitational field! 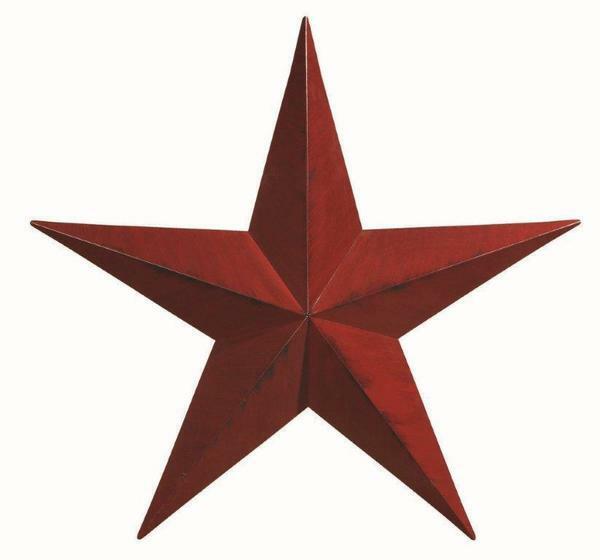 Built from quality metals in Pennsylvania by a company of expert Amish craftsmen, each of these stars is big enough to stand out on any size of house, barn, wall or fence. Every piece is built with immense pride, promising you nothing but the best in home-grown quality and care. Choose from our wide range of colors in the menu above to create your perfect barn star! If you've got any questions at all about this piece, please don't hesitate to give us a call or email - we would love to hear from you. Depth at center: 5 1/2"